Curry on Thursday’s ‘Today’ broadcast. 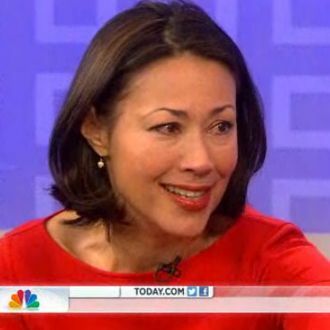 In case you missed it: As of Thursday morning’s tearful good-bye, Ann Curry is no longer a co-anchor on Today, though she’s sticking with NBC as an international news correspondent. The network’s handling of Curry’s exit has been widely described as “awkward,” and NBC News president Steve Capus has made it more so with an interview he gave to The Hollywood Reporter in which he offered up some blunt justifications for Curry’s ouster. Asked why Curry did not work out as a morning TV host, Capus allowed that her weakness was convincingly presiding over morning TV staples such as cooking segments and celebrity interviews that make up a big chunk of the job. Capus also praised replacement Savannah Guthrie as a “serious,” “smart,” and “endearing” journalist with “the ability to communicate clearly and in an approachable manner,” and at one point compared her to Mary Tyler Moore.